Bar & Restaurant Fit-Outs: Things Worth Remembering! Fitting out a bar or restaurant is involved. Awareness saves stress, time and money, so here are a few mission critical things to consider. A fast & robust, custom modular exhibition stand system. HIVE System is a professional, cost-effective alternative to one-use free build exhibition stands. 1. Don’t allow your eyes to be bigger than your budget! Space costs. And it costs to fill. staff and operate. It may be better to get creative with a smaller space. 2. Make sure that you have a solid design and set of drawings to work from and experienced sub-contractors to work with. You need sub-contractors familiar with working specifically in bar and restaurant refurbishment. 3. Have your eyes wide open when it comes to cost. 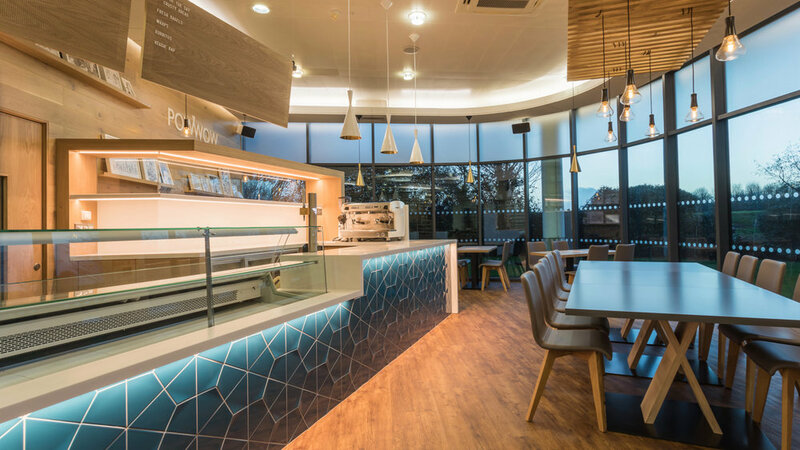 Even if you’re taking on a space that’s operated as a bar or restaurant, fit outs do not come cheap. For a bare shell conversion costs can easily hit £1,500 a square metre depending on the scope of work, fittings, fixtures and finish. 4. Be sceptical if your sub-contractors tell you they’ll have the work done in a couple of weeks. With strip out and full refurbishment that’s just not going to happen. Allow on average 6-8 weeks and be mindful all the while that unforeseen circumstances may still cause delay. Build in contingency and request a rent-free period when negotiating the terms of your lease. 5. Gen up on all the environmental health, planning and building regulations before you start anything. Permissions take time to come through, but you won’t do yourself any favours beginning work without them. You’ll be hit with penalties and delay - delay being the most expensive penalty of all. 6. Think twice and then some before you opt for second hand kitchen equipment. It may be cheaper initially but where are the warranties? Will the equipment meet current regulations? And if needs be will you get a refund? Remember these few things and keep your eyes wide open!